With Pocket Edition, but it still counts! Minecraft: Windows 10 Edition is only a few months out the door, but already it's adding some nice new features. Case in point: version 0.12.1 has added support for cross platform LAN play with the mobile version Minecraft: Pocket Edition. Ain't computers great? Windows Phone, iOS and Android users alike can join in the fun, with up to five players linking to the Windows 10-hosted server for simultaneous play. Updates to Pocket Edition have been released alongside the Windows 10 update, including enhanced weather effects such as snow accumulation and directional rain. 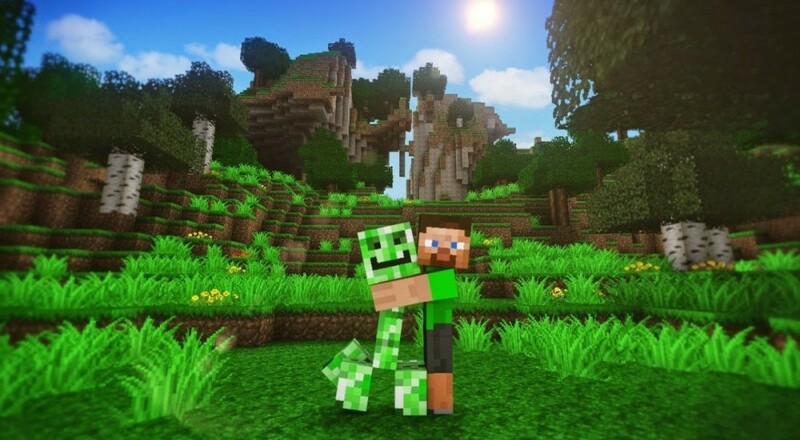 Minecraft: Pocket Edition has notoriously lagged behind its console and PC partners in terms of content updates. Windows 10 Edition has some catching up to do as well, but this announcement hints that Microsoft might be planning to force all versions of the game to keep the same pace. No more "now you can have horses!" patch notes for the stragglers!